In May 2017 she was an ordinary part time working mother caring for those she loves. She was still breastfeeding her baby when suddenly she refused to feed from the right breast. Sarah thought she may have had mastitis so went for a check-up..... and the nightmare began. Sarah was diagnosed with breast cancer. 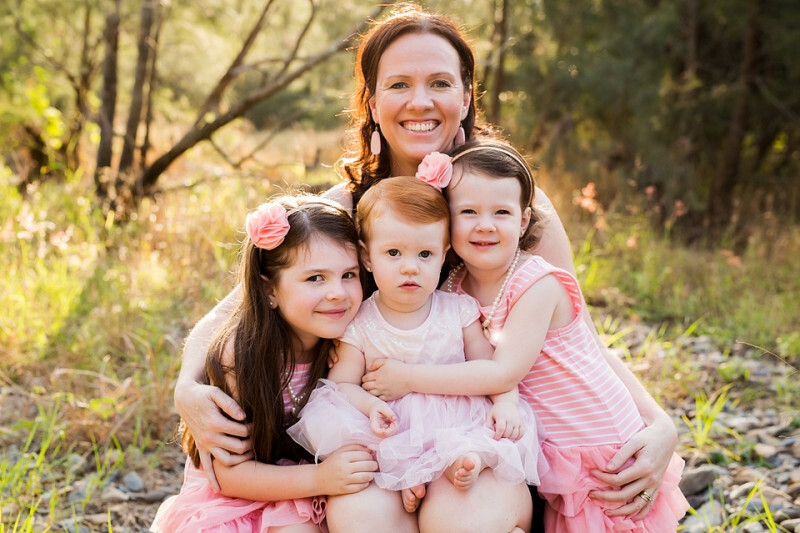 Anxiety and fear took over when she was given the bad news and realised she might not be around to see her lovely girls grow up. In July Sarah had a double mastectomy hoping that would be the finish of it. However when the results came back she found out that not only did she have the most aggressive type of breast cancer, but it was already in her lymph nodes and circulating throughout her body. After the shock wore off she began a diligent and lengthy search of treatment options available within Australia as well as overseas, to find what she believes to be the best and most successful with proven long term success. Sarah has embraced the concept of radical changes to her nutrition and lifestyle to boost her health and immunity and assist in the fight against the cancer. These radical changes involve all things in her life that affect her health and wellness- Nutrition, spiritual, physical, and environmental factors. At the same time she is undergoing intensive treatment aimed at killing the cancer sites in her body as well as stopping and killing all of the cancer cells which are spreading within her blood. The treatment and procedures Sarah is undergoing are very costly with most of her treatment only available interstate and overseas. To date these costs have been covered by savings and support from family. We have sat down with her and worked out that at least another $100,000 would be needed to cover ongoing treatment, investigations and consults, professional fees, accommodation and overseas travel for the next 6 months (has been updated). We have started this campaign to ensure she can stay on her path to wellness. Her family are so proud of her determination to do whatever is required to stay around for a long time, and be there for her three young children as they grow up and need their mother. Sadly there is no help for Sarah from Medicare or her Health Fund to cover these costs. Sarah is able to work a little but needs time off to travel overseas, and recover from her intensive treatments. She is also trying to spend as much quality time with her children who have been greatly affected by what has happened to their mother. Your support of this Go Fund Me would be greatly appreciated. Your help to assist Sarah maintain these treatments until she is able to fully return to work would be greatly appreciated by both her and the family. Please help Sarah fight breast cancer! Hello, Sarah here. Just wanted to share with everyone the outcome of the follow up appointment I had this morning. With God's grace all of the parameters have significantly improved and I am responding as we hoped. At this stage it is not anticipated that I will need another round of active treatment. We are all very excited by the results and enjoying this good news. Thank you all so much for your support that has made this possible. 2018 is going to be a fantastic year!